When Did You First Realize the Importance of Online Privacy? Was there a moment in your life when you had an awakening about the importance of digital privacy? Maybe your parents snooped around an email account when you forgot to log out. Maybe photos you thought were private ended up online. Maybe you didn’t land your dream job, and you suspect an old LiveJournal account still visible in search results of your name may be the culprit. Maybe you got hacked. We’re collecting stories from people about the moment digital privacy first started mattering in their lives. Through this collection, we’re hoping to illustrate the varied, often deeply personal reasons that people care about digital privacy. This isn’t a dry policy issue; corporate data practices have lasting ramifications on people’s everyday lives. And the recent vote by Congress to allow companies like Comcast and Time Warner to have unfettered access to our browsing habits puts our privacy even more at risk. 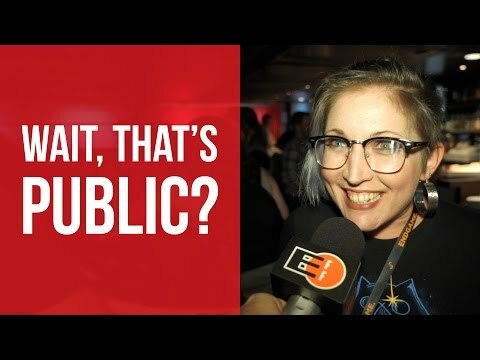 We launched the project by sending reporter David Spark to the Security BSides conference in San Francisco, where many fans of digital liberty often come to see EFF and others speakers discuss topics like security, privacy, and online freedom. In the video above, we collected some of those stories. Want to add to the conversation? Post a blog post, article, tweet, or short video, and then share it on Twitter using the hashtag #privacystory. We’ll be collecting these, blogging about them and retweeting them to help spur a broader public conversation about the value of privacy in our digital world.